Hi,am Ruth from Nairobi,Kenya.I would like to do a course in air hostess.I graduated from secondary high school in 2015, am good in Swahili and English communication.I need an air hostess school which is located in Nairobi where I can learn to know more.please sir.Am waiting for reply. Hiii….Sir m Devi nd I love this job.m student of +2. I want ths job bcoz i lub it nd it is my drm too.I knw hindi well english also but little bit it low to speak english.If I trained so I’ll be a good Air hostess. hello , my name is Amarjyoti. I am doing tourism n travel manangement course n I want to do the job of air hostess but I don’t have very fair color complexion , my height is 5.6 n I can speak hindi , Punjabi n English . Sir can u pls tell me can I do this job . I will be very thankful to you for this. Believe in yourself to do and ready to sacrifice as requirement of time. I’ll say that use of your subconscious mind to come true your dream. Think all the time about this amn amazing dream. You will have to do hard work. Thank you very much. Good luck! Good dream!!! Hi I am Neha Afroz ….I live in karimnagar near hyderabad…this year i will be graduated. My height is 5.3 & I can speak English ,Hindi,Telgue,other lagunges like malyalam,Tamil , karnataka I can understand what passengers. I want to be Air hostess…. Its my dream really ….. I have almost completed my graduation… and i just want to be a international air hostess……it’s my dream when i was only 12 …….but during some family issues nd economic problem i didn’t apply for this……i want to fulfill my dream if there is anyone who can suggest me about frunkfinn then please give me some suggestions……… I’m good looking and intractive ….so I’m little bit weak in spoken english…………help me to do my dream come.. but now time i hve complete my graduation in hotel management in ihm bhopal… i want to become air hostess can you please help me sir..
My name is Nina Somuah. I’m a Ghanaian . I graduated with a degree in Bachelor of Arts in Publishing Studies this year(2017). I speak fluent English and willing to learn other languages, I started a French course . Being an Airhostess has always been my dream and passion since i was a child. I’m 21 years now , 5.5ft tall, slim and fair . kindly en-light me more about this job and assist me in making my dream come true . Hi my name is shaima ..I live in New York..this year I will be graduated.my height is 5/4 …and I also speak Hindi and Spanish..I want to be a air hostess ..I love this job …that’s my dream…sir please if you don’t mind can u tell me is that ok..or ..I need something more information for this job. I am a b.a Student and current my second year I want to do this (airhostess) job, my skin color is normal, can I do this job or not if I can do so pls give some suggestion, and I little bit weak speak in English, so pls help me what I do. i am 2nd year eng hons student and i am very passionate about being an airhotess but as you said above that confidence is needed ; that is what missing in me. So please could suggest me how develop my confidence. hii tanya this side….. M from kanpur(UP) n i have completed my 12th n also running on graduation 1st year. Sir m very intrested about this job. My height is 5fits n 3 inches n I think my english is also well but not experience in spoken but i will learn it .Sir to be an air hostess is my dream.So i requested you to show me a right way to apply for this job.Thank you very much……………M highly obliged to you. I would like to be an airhostess someday ,I am eighteen now and am in a university in Ghana pursuing a degree in tourism and hospitality which I will be graduating in four years time .please after my degree how do I go about getting an international job and which other languages do I need to study ,for now am also studying French. Hlw sir myself sonali i belong in a mdle cls fmly…..i know hindi english and bengali……my height is 5’1…bt i’ll cmpled my 12 nxt yr….so pls give me d explntn abot d air hostess job spcily d fee for trnng of this……. 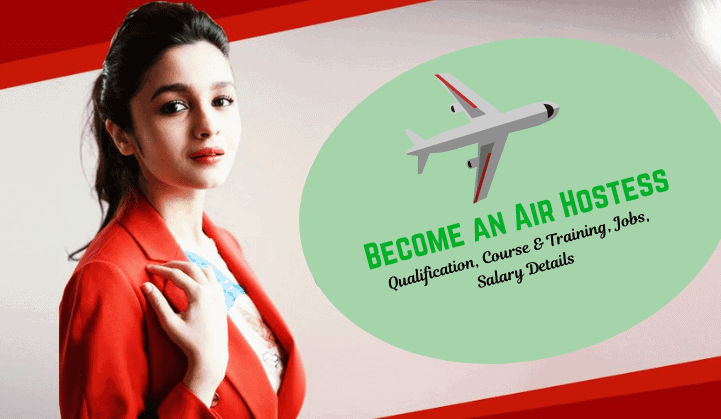 hi this is ahmedi.iam looking for an air hostess position …i recently completed my MBA in 2017..please check and let me know..my details given below. Plz help mee to come my dream success..
My name is Ananya Mukhopadhyay. I am 18+ years old and I have passed 12th already one year ago and I am a btech 2nd year engineer . I am fluent In English ,hindi and also in Bengali…I also know a little bit of other languages like Japanese, Korean etc. My height is around 5’8″.That’s why I don’t know what should be my eligible weight for it but I know my current weight is not perfect for that so if you tell me what should be the weight then I may try to be perfect .But unluckily my eyesight is bad my both eyes have -2.75(left) and -2.50(right) power. My family is also poor but it is my dream to be an air hostess so please help me. I am from Kolkata so please tell me what I should do. M Pooja Rani 10+2 undergraduate student of history , meri eyesight weak hai &my height 5’4″ hai . I m little bit weak in spoken english…………help me to do my dream come true….. I am eligible this course ???? actually i want to become a air hostess but i do ba from hindi language and english literature and my eye side is 6/6 and height is 5.6″ but sir my gratuation will be completed next year and my english is nice but not good but i will improved in my english . so it is my dream. so sir can you explain me that i am perfect for this course or air hostess. i will waiting for your reply. you can take loan… which is easily available by bank n after ur completing ur course u can pay this… ?? hlo air my self Afrin Ara , I m Muslim. ..sir I want to become airhostess I don’t know what I can do ..nobody here to help me , I am student of 10 2 now …my mom support me in every field ..but without any help I can’t do this …sir if you help me ..I m very.. thankful to you …I want to beacome because its not only my dream but its a dream of my mom my frnds my family and specially my grandparents …plz sir help me ..give me suggestion what I have to do and how to do ? hi..I’m Margaret Maloisane.I live in free state .im interested in being air hostess but i don’t know which university can I attend. Hlow sir m kumari Sunita I m bsc 2 semester student it’s my dream that I will be air hostess but there is a vast issue that I m not fair so coz of that are my dream will be over soo plss help me n suggest me what should I do for that m waiting for your answer …..
Hi… I am Prajna from Mangalore . I have completed my 10+2 and now I am doing my second year course in Mass Communication and Journalism. But nowadays I don’t think so this is my cup of tea..from childhood my dream is to become an Air Hostess . Hence I want to apply for this course now and for this I am planning to discontinue my present course of media. I have all the required qualities needed for the Air Hostess job but my only problem is that I am not of so fair complexion. I am little dark and also I have some pimple scars on my face. but i am planning to consult a skin specialist for this problem. So am I able to join Air Hostess course. I am worried!! Hi, am 12th passed . Stream science. 67.2%. wbchse board.english is good. Am so much intrested,it’s my dream job and am a Nigerian,i have just secondary school certificant (WAEC result)…am i good to go??? hello myself Sarjeet kaur, from jaipur Rajasthan I wnt to become an airhostess it’s my dream job and my stream is Arts and I’ve an English literature and I’ve fair complexion my height is also great 5’8 .. can I apply for this Job ?? My self gyanvi actually i am very much interested in this field and have a dream of becoming air hostess. Recently i have passed from 12th from cbse board. My height is 5’2″, weight is 46 kg, fair complexion and eyesight is perfect but i have some spots on my face so plzz sir tell me i am eligible for this field or not??? sir i am Meghna Bhosale . recently I have passed my hsc exam with a first class. I really really want to do my career in this field.I can’t speak English fluently but I understand english very well also I know how to speak Hindi and Marathi.I want to know which type of course you required.the course is under pune university. pratibha College in chinchwad.. and passionately want to become an air hostess…. so plzzzz guide me for the best courses and for for the better post in air hostess… I do talk in English Hindi. and very well known with this 2 language.. .. it’s my dream come true. If I got this chance..
and kindly request to give reply for my… message..
Hey.. I want to know that my height is only 5′ 0″ but m very much interested in this job..m going to b a law graduate in one year, i can speak English n hindi. M pretty but don’t have a fair completion. I have a little tanned skin.. I want to apply for the international airline company. And I have a huge amount of patience level! I can make people comfortable in my presence. Am I eligible enough? Because my height and complexion doesn’t come under the eligibility criteria! My complexion might b considered but m concerned about my height! Please give me a response.. anyone! This year i passed my 12th and im 17 going to be 18 in August and i am a commerce student and know i am doing bcom hons in commerce and my question is that possible for me to go with airhostess carrier after compliting my graduation? hi this is Soniya Jain from Rajasthan. i had just complete my 12th from my district school. my English is not very well like a graduate girl but my dream is to be a air hostess it’s my childhood dream. i am fully interested in air hostess help me to make my dreams come true. Hiiii sir m tanupriya from Punjab,m not financially too good…but m vry passionate nd attractive… I have also found communication skills ..m 20 years old ..m +2 passed nd topped by 93.1 % marks ,and appearing in bsc medical final year…sir I need ur help nd guidance to fulfill my dream .I really hope after reading my msg u replied…. Hiii….Mera naam yasmin hai aur mai pune se hu actually mai bahut confused thi apni life me kyu ki mujhe samjh me nahi aa raha tha mai kya karu future me mujhe pahele se air hostess ke bare me zyada kuch pata nahi tha but jab maine badrinatha ki dulhania movie dekhi tab se mujhe interest aaya ki mujhe bhi air hostess bana chahiye so plz help me and i m waiting for ur reply…. Mera name asma patel he. Me vadodara se belong karti or meri age 21year he. Me 12th pass hu muje air hostess course me bahot paheleb se intress he but meri condition ki vajah se me nahi kar payi so muje ye cource karne ke liye aapki help chahiye kya ye cource me ab kar sakti hu plz give me good suggetion how can l do this? I qualify for all the reqirements except for my eyesight…. So should i lose hope or try for it? I am Riya from Kolkata and I am 16 yr old and i read in class 11.. And i am also good looking and attractive.. i have read all of this above and i accept all this but my eye sight is little bit waek .. i wear spectators.. But I am interested in this field very much..will this air hostess job can i get after my 10+2..?? If anyone of viewers could know then plz give me an advice?